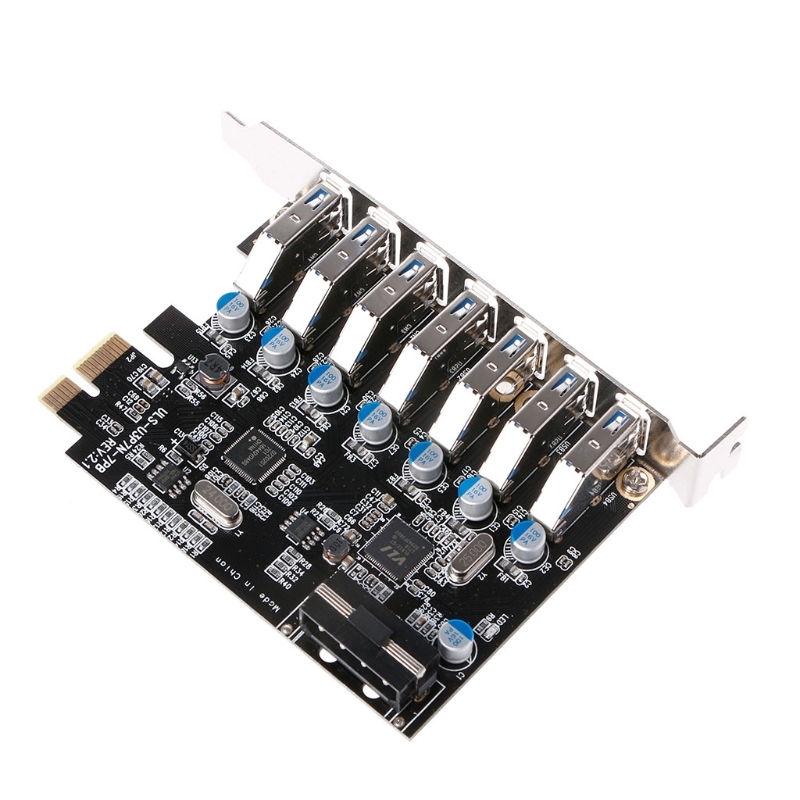 Supports PCI Express 2.0 X1 lane, can transferring up to 5Gbps. 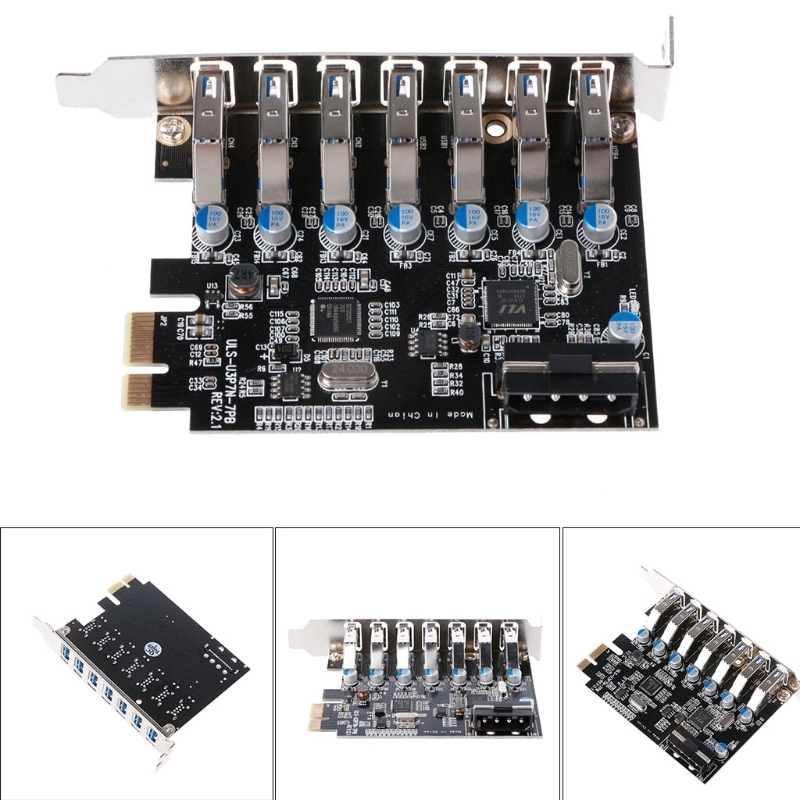 Supports USB 3.0 specification type A connector X 7 ports. Backward compatible with USB 1.1/USB 2.0. 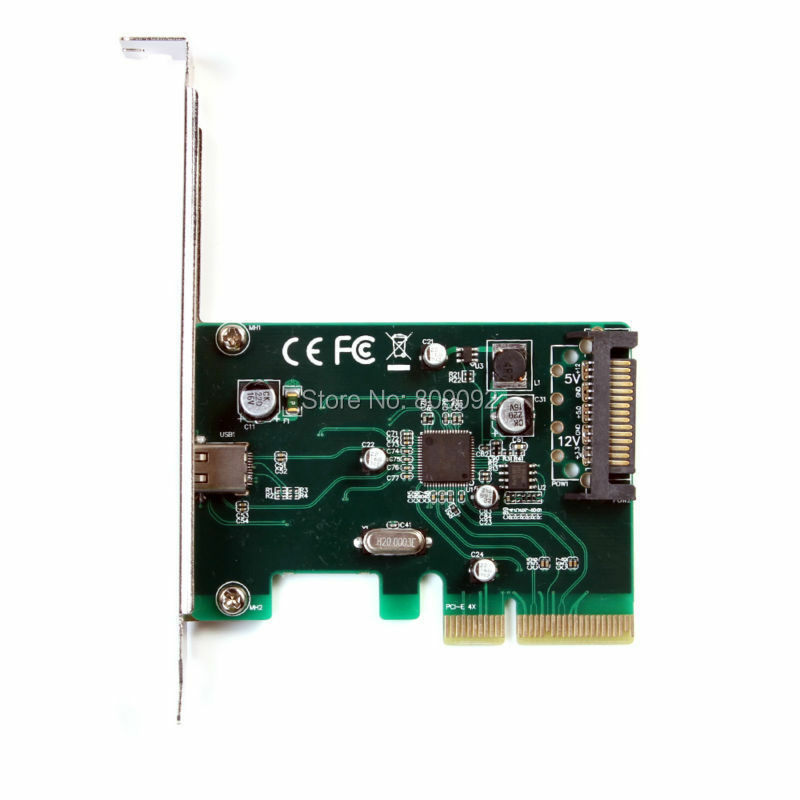 Supports the following speed data rate: Low-speed(1.5Mbps)/Full-speed(12Mbps)/High-speed(480Mbps)/Super-speed(5Gbps). SATA 15-PIN power supply, sufficient and stable power supply to ensure stable operation of equipment. Hot-swappable, plug and play, low power consumption, environmental protection and energy-saving products, low heat, stable. 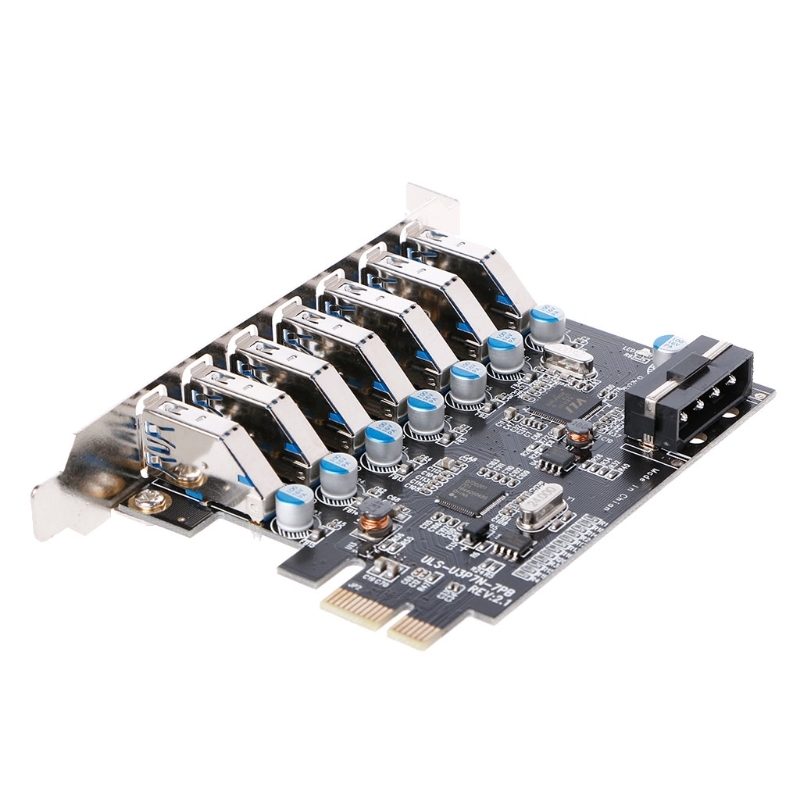 Supports external power plug in order to supply power for each USB 3.0. PC with 512MB of RAM and 1.0GHz or faster processor. System Support: Windows XP / Vista / Windows7 (32/64 bit)/Windows8 (32/64 bit). 1. 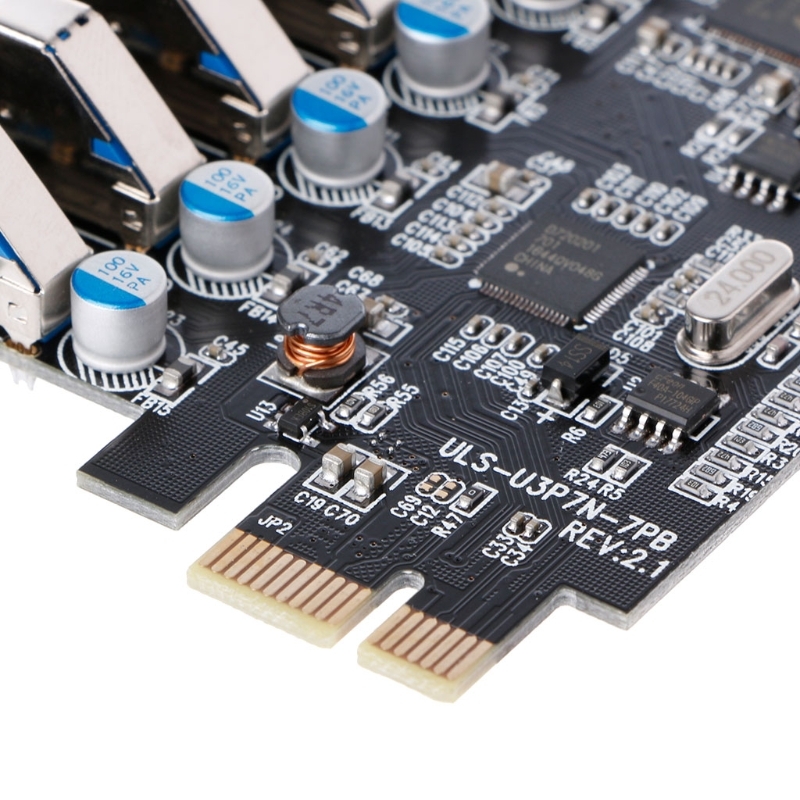 To achieve the maximum throughput, the PCI-Express slot must be version 2.0 or higher. 2. 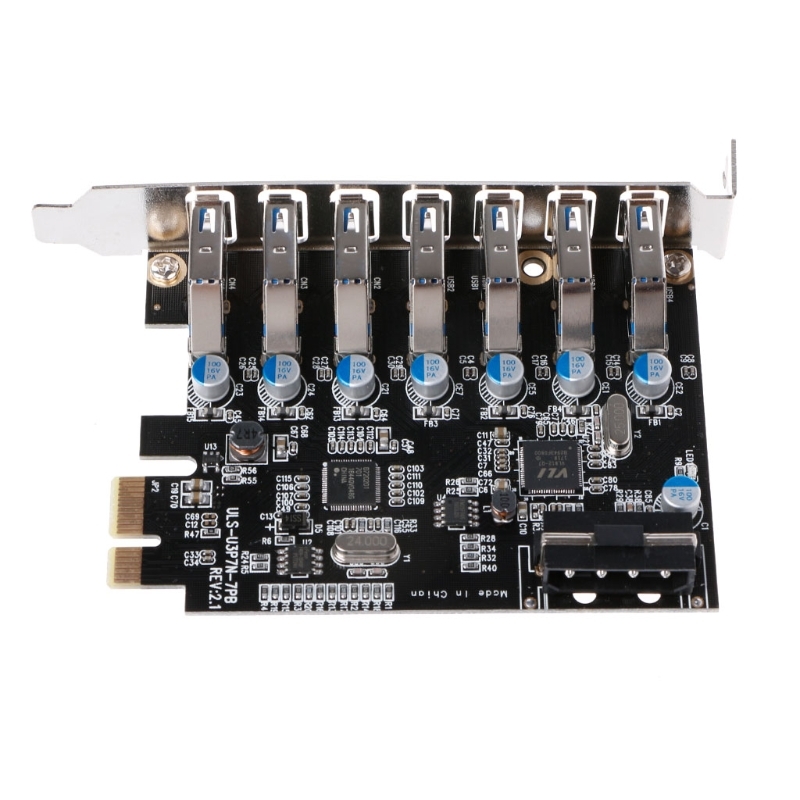 Performance per port may decrease if multiple ports are transferring data simultaneously due to limited throughput of the PCI-Express slot. 3. 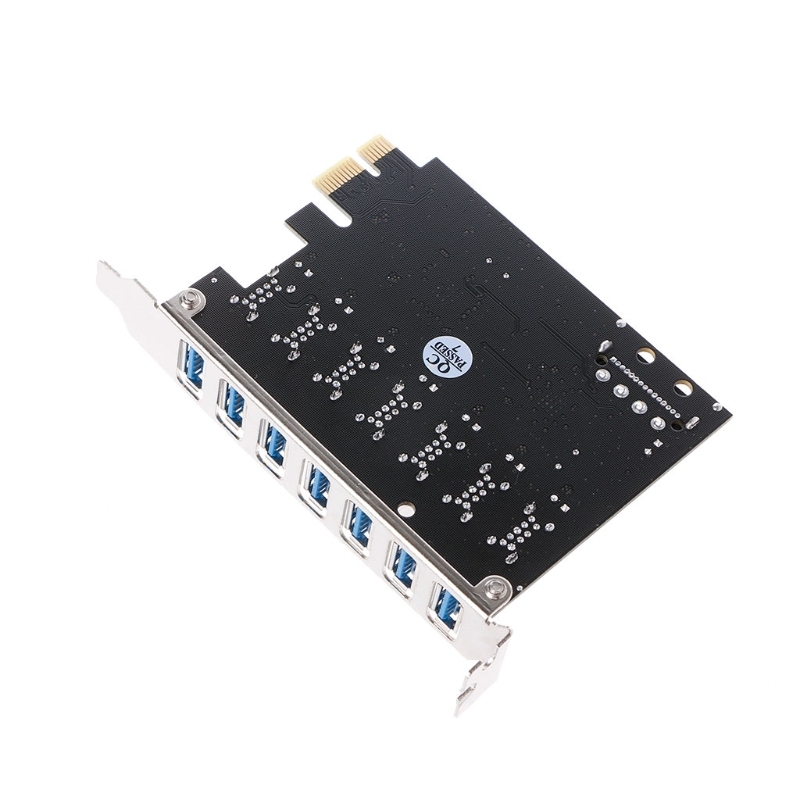 To meet USB 3.0 transfer speed, high quality USB 3.0 cables and devices are required. 4. 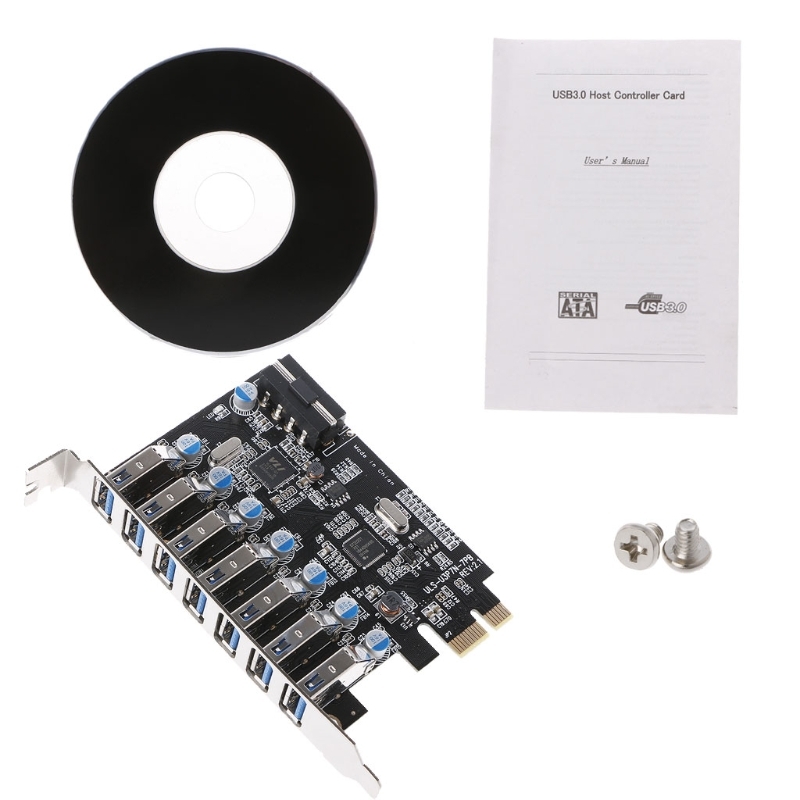 Supports both 32-bit & 64-bit OS. 5. Make sure the power is well connected; otherwise you will see a "Power Surge on Hub Port" message error and no 5V bus power in USB ports.